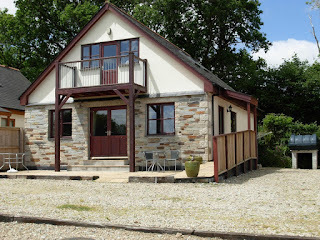 Luxury self catering holiday cottage on the edge of Bodmin Moor. Jupiter Lodge, Upton Cross, Liskeard, Cornwall, Bodmin Moor (Sleeps 1 - 8). Jupiter Lodge is a modern detached cottage, double glazed with central heating and equipped to a high standard, with an acre paddock adjoining. It sleeps 8 having 4 bedrooms and 3 bathrooms. Heating and all utilities are included. The lodge has 4 bedrooms, a double bedded room with an ensuite wet room and a small bedroom with adult sized bunk beds downstairs. 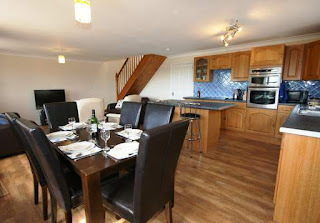 Upstairs is the master bedroom with a kingsize double bed and ensuite bathroom as well as a further twin bedded room. Outside there is a paved patio area with unobstructed views towards Kit Hill. 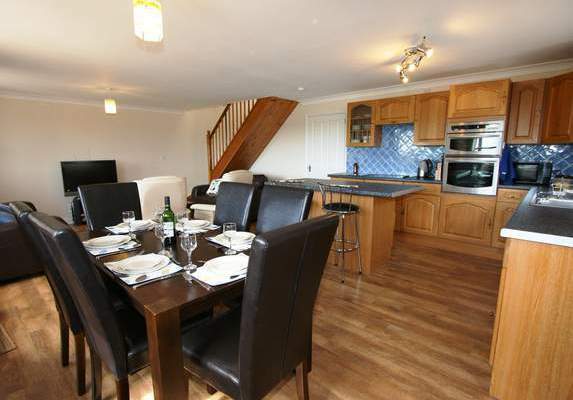 It has a BBQ together with a table and chairs, and an adjoining 1 acre paddock. A garden shed houses 2 bicycles which guests are welcome to use. The outlook from the lodge is a panoramic open view southeast towards Kit Hill with Dartmoor in the distance, and Caradon Hill can be seen through the trees to the southwest. Local footpaths include walks along the banks of the River Lynher as it runs through the pretty Stara Woods. It is a 10 minute walk to open moorland and is an ideal location for walkers and wildlife enthusiasts. Upton Cross is just over a mile from the lodge, as is the village of Rilla Mill. Rising from Upton Cross to the village of Minions is a further 1.5 miles. This is a popular part of Bodmin Moor with the Hurlers, a Bronze Age stone circle, the Mining Heritage Centre and the famous Cheesewring rocky outcrop. The open air Sterts Theatre with its interesting programme of events and plays is located at Upton Cross.